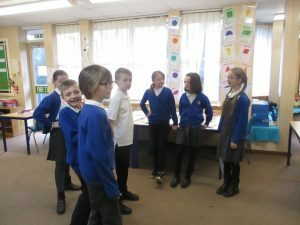 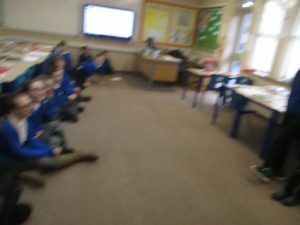 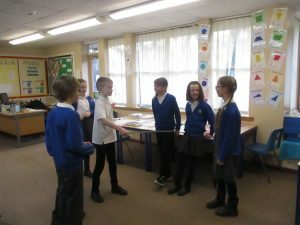 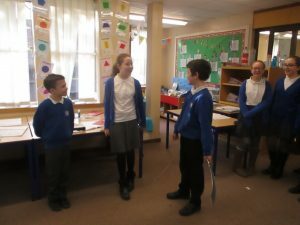 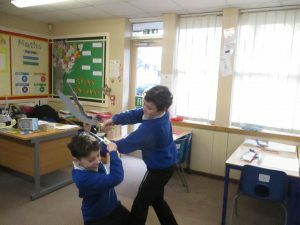 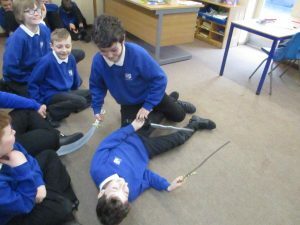 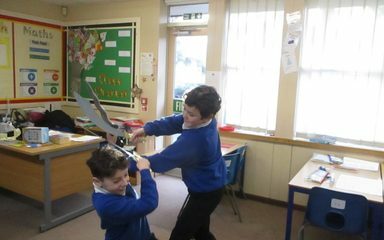 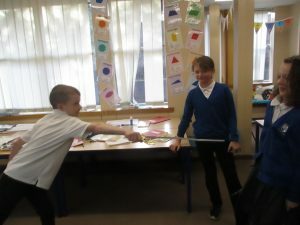 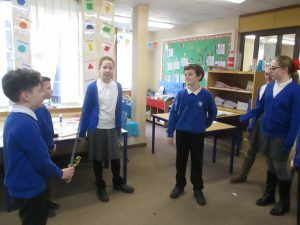 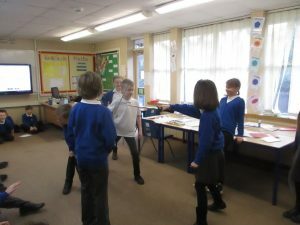 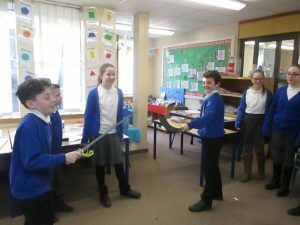 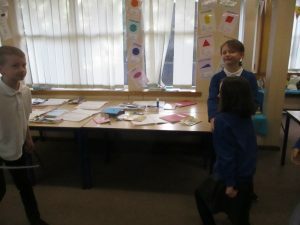 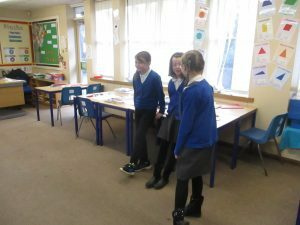 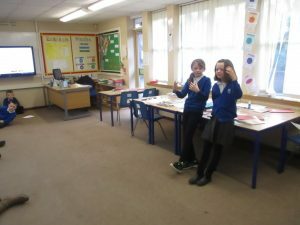 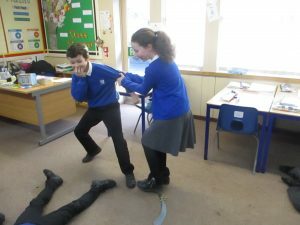 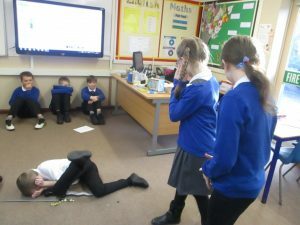 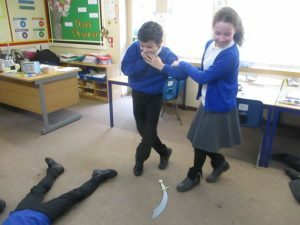 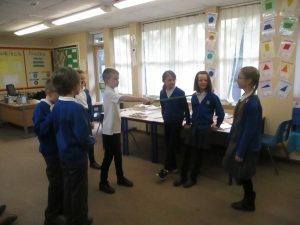 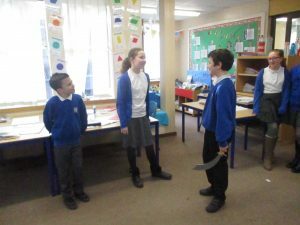 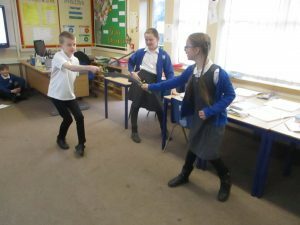 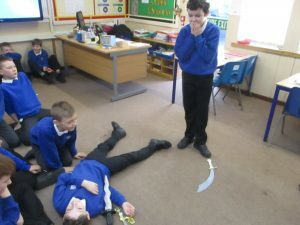 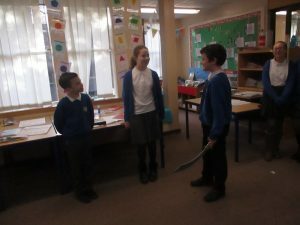 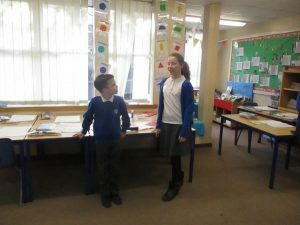 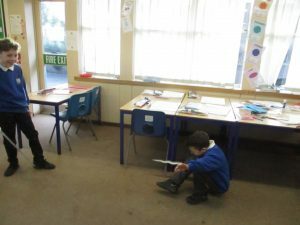 Today in Mrs Hope’s English class we have been having a fantastic time acting out the death of Tybalt and Mercutio in the famous fight scene from Romeo and Juliet. 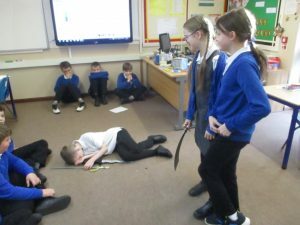 We had sword fights and fury as we acted out the death of these two characters. 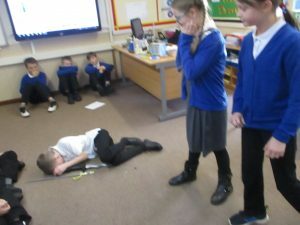 We will be using the fantastic understanding this helped us to gain of the scene to write newspaper reports recounting the bloodshed on the streets of Verona.